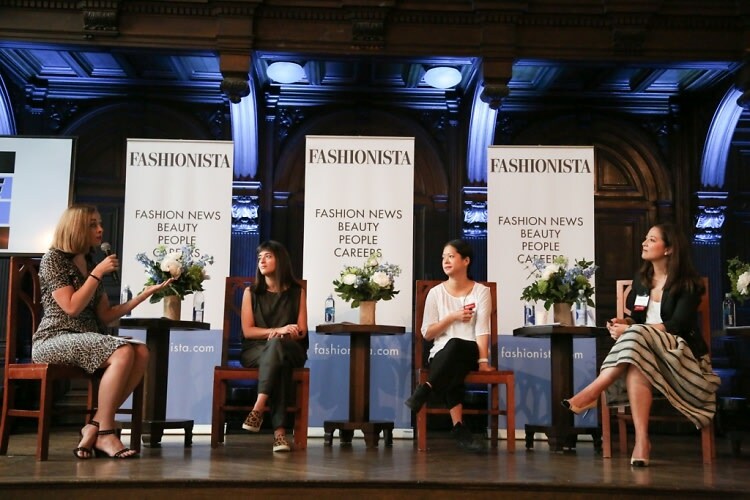 On June 27th, FASHIONISTA presented the "How To Make It In Fashion" Conference at the High Line Hotel in NYC. Fashion lovers of all ages traveled from NYC, Puerto Rico, Texas, Mexico, and elsewhere, to learn from some of the most prominent people in the fashion industry. Speakers included Amy Astley, Ariel Foxman, Robbie Myers, Aliza Licht, Britt Aboutaleb, Jessie Randall, JoBeth Tananbaum, Stephanie March, Heather Park, and Jarrad Clark, among many others. Upon arrival, guests enjoyed coffee and water while waiting for the interviews and panel sessions to start. Panels included "So You Want to Work in Tech?" and "Why It's a Great Time to be a Young Designer." At the conference, attendees dressed highly on-trend, and we noticed plenty of graphic printed pants, Birkenstocks, statement necklaces, and little black dresses. Guest of a Guest was there for it all, so read on for event highlights and expert advice on succeeding in the fashion industry!